Chemring Australia and Quickstep Holdings Ltd have secured funding for product development and cost reduction initiatives for F-35 Lightning II countermeasure flares. “Chemring and Quickstep are excellent examples of leading-edge Australian companies succeeding in winning work in international supply chains,” Minister for Defence Industry Christopher Pyne said. 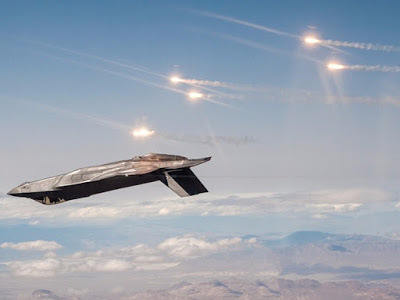 Chemring has announced it will expand its Lara facility in Victoria to design, test and manufacture F-35 countermeasures; something CEO Joe Farrah mentioned to ADM in May’s From the Source interview. “We have a degree of perspective on what might be required to support any future development of indigenous countermeasures; something we’re keenly exploring the possibility of with Joint Electronic Warfare Operational Support Unit and DST Group as part of the five-year collaboration agreement,” Farrah said. Quickstep will develop and commission new advanced manufacturing technology at its facility in Bankstown, NSW, to supply countermeasure housings to Chemring. The New Air Combat Capability – Industry Support Program, which is administered by the Department of Defence, also granted the company $1 million. Quickstep supplies 40 per cent of the materiel to Marand Precision Engineering to produce each F-35 conventional take-off and landing vertical tail. Marand recently delivered its 50th vertical tail to the F-35 program. According to Minister Pyne, more than 50 Australian companies have shared in more than $1 billion worth of global F-35 production contracts to date. “Further opportunities are expected for Australian companies to increase production contract values over the next four years as F-35 production rates continue to increase,” Minister Pyne added. Australian industry involvement in F-35 production is expected to exceed $2 billion by 2023.